Children have so much energy and if they don't burn it off, they can drive you crazy buzzing around the house. Unfortunately, many kids don’t follow a regular exercise regimen. 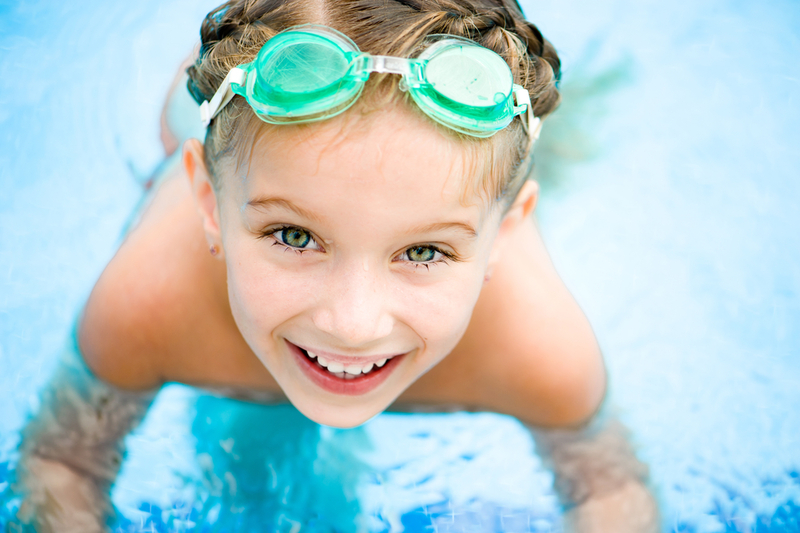 If you're looking for a healthy outlet for your children, sign them up for swimming lessons. It’s an excellent year-round activity and has a number of fitness and development benefits. Why Is Swimming the Perfect Exercise for Children? This sport utilizes nearly every muscle in the body. Swimming lessons teach kids coordination, help them burn energy, and let them build and harden their muscles. It has also been shown to improve kids' heart and lung health, posture, stamina, balance, and flexibility. It also reduces the likelihood of childhood obesity. You don't need a whole team to enjoy swimming; kids will have fun paddling around on their own. However, lessons in a group setting give kids the chance to interact with their peers outside of a school setting, make new friends, and grow their communication skills. Since it’ll be a place where they see friends regularly, they’ll always be excited to go; you may even have trouble trying to get them out of the pool after the lessons are over! Swimming lessons teach survival and safety skills, like treading water, that everyone should know if they'll ever spend time on or near pools, lakes, or oceans. Swimming lessons also teach children the value and importance of working hard to achieve goals. To sign your kids up for swimming lessons, contact Charles River Aquatics. They operate swim camps in Boston, MA, and at Brandeis University. Children ages four to 11 can swim, compete, and stay healthy all while having a blast in the water. Visit their website to learn more about their schedule. Call (617) 863-4102 to sign up your child today.